Attention Denver! The wonderful graffiti and street art event called CRUSH is coming once again to RiNo this Monday, September 11th. The streets and alleys of our boisterous neighborhood will be buzzing as dozens and dozens of artists from all over the world take out their paint brushes and spray cans. Working all week long, they’ll be lighting up the city scene with their colorful murals on RiNo’s walls. We are very excited to announce that the north wall of our building at 2800 Walnut Street is getting a mural! It feels like we’re being given a housewarming gift for our new Showroom. CRUSH stands for Creative Rituals Under Social Harmony, and this is the eighth year of the festival. It hopes to promote free expression and social inclusion, and the art that comes out of the week-long event is varied, unpredictable, thoughtful, and fun. Just a few short years ago, RiNo’s alleys were dark and forbidding places. Now they are part of the creative landscape of downtown, filled with depictions of alternate universes. You can wander along RiNo’s streets like a Magellan, turning here and turning there, making your own art discoveries. 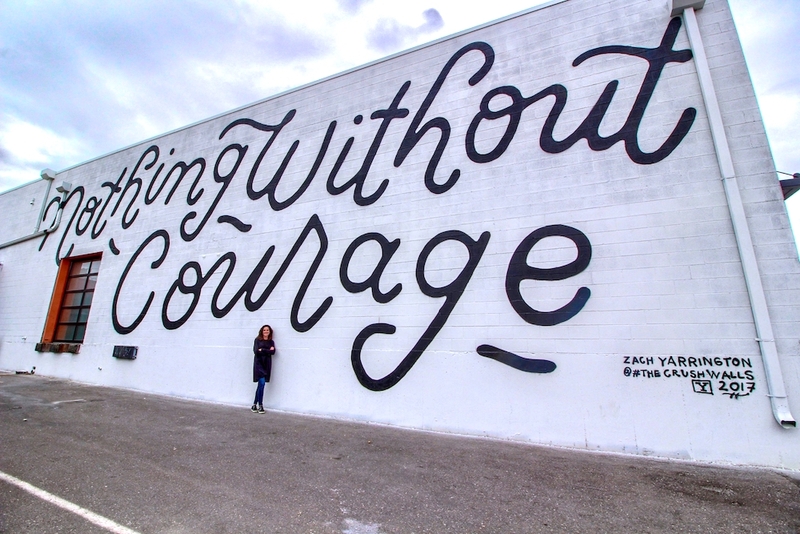 And even if you think you’ve seen all the murals of RiNo, you haven’t. Many of the existing ones will be transformed this year into something completely new. The festival kicks off with a free party on Monday evening (you have to RSVP on the website), and wraps up on September 17th. All week long artists will be on the streets, working on their pieces, so there will always be something interesting to see. There will also be a CRUSH Kids painting event on September 16th, sponsored by the library. For more information, with schedules, artists, events, and more, check out the CRUSH website.